Ready for positive changes in your life? We have the expertise to make it happen! 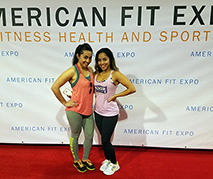 Our private personal training studio is located in a convenient downtown Houston location. Contact us today to start achieving your body transformation goals. The Edge Personal Training Studio has top personal trainers with the knowledge and abilities to help you achieve your goals. We're so confident in our personal training abilities we offer a 100% money back guarantee! Learn the "insider" tips on how to successfully reach your fitness and health goals. 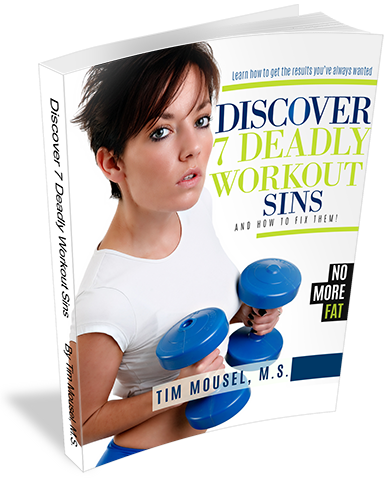 Get your FREE information packed ebook instantly. *Your information is private and will NEVER be shared. Space is limited to 10 participants per session. Remote ONLINE training is also an option. Full Details here. Your trainer will guide you to a level of health and fitness you've always wanted! The training takes place in our private studio or in your home at a time convenient for you. All programs come with a professional designed workout routine, custom meal plan with foods you enjoy and The Edge Personal Training workout phone app. Enjoy the benefits that one on one training brings. This fun, energizing program gets results. Period. 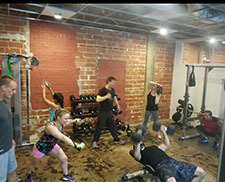 The workouts are professionally designed and the group environment is truly motivating. No matter what your fitness level or goals, this program will work for you because modifications are made based on your specific needs. If you're looking for a non-intimidating environment, a supportive group of friendly people with similar goals to yours, a system that'll keep you accountable and on track, then the Small Group Personal Training program is for you! Monday - Thursday at 6:45 p.m. - 7:30 p.m. and 7:30 p.m. - 8:15 p.m. and Saturday mornings from 11:00 - 11:45 a.m.
Tim Mousel, M.S., A.C.S.M-CEP, N.A.S.M. Tim (full bio here) is a trainer to the trainers! He has traveled nationwide teaching at fitness conferences attended by personal trainers, physical therapists and athletic trainers in need of continuing education credits. Since 1993 he has been teaching college programs for those wanting to become personal trainers. He will get you results! Anna received a Bachelor of Arts (BA) focused in Nutrition and Food Science from Wayne State University. She enjoys working with a wide variety of clients to help them reach their goals. Our experienced trainers understand what you're going through. They'll push you when you need to be pushed and can also back-off when the going gets too tough. On top of the latest exercise science research, you'll always be exposed to the latest and greatest in fitness! Your goals are our number one priority. We're so confident that we're the right choice for you that we offer a 100% money back guarantee! The one-on-one environment is ideal for obtaining all the benefits exercise has to offer. We make it fun! Our unique programs are unlike any other you'll experience. We integrate training from Muay Thai kickboxing for the ultimate in anaerobic fat burning. It's so much fun you won't even notice you're exercising! Our equipment was carefully chosen to maximize your workout session to give you the best results. Depending on your needs we'll focus on weight loss, body transformation, building your stabilization system, hypertrophy (bigger, toned muscles), strength, power, speed, agility, quickness, and balance. We're conveniently located between I-45 and 59 on the feeder road of I-10 (map). The Edge Personal Training facility was originally known as the Union Transfer and Storage Building which was built in 1917 and is listed in the National Register of Historic Places by the United States Department of the Interior. This commercial loft style building has been uniquely renovated and redesigned to provide you with a perfect open, loft style gym environment. - What could be better than making a commitment to regularly meet with someone who will provide you with individualized attention and support? Tim Mousel, the owner of The Edge Personal Training is a trainer to the trainers! He has traveled nationwide presenting at conferences attended by personal trainers and physical therapists. Since 1993 he has been teaching personal training programs at two of Houston's colleges. His extensive experience in the industry enables YOU to get results. All of the staff at The Edge Personal Training are highly qualified and motivated trainers that want to see YOU succeed. It's all about you! We're here to serve you and make sure you have the best experience imagineable reaching your fitness and health goals. Our customer service is top notch. Each workout is specifically tailored to your specific needs. This was the January 2013 feature video for the Personal Fitness Professional Magazine's website.